This past weekend I attended the inaugural Sewing Boss Weekend at Asilomar Conference Center on the beautiful central coast of California. For the first time ever, I was surrounded by a unique group of entrepreneur/creative woman - kindred spirits running sewing businesses, on both East and West coasts of the USA. Hunkered down in our cabin by the sea, we shared business successes and challenges, what motivates us, what drives us nuts and mostly talked and talked and talked about how honored we are to make modern sewing available in our communities. It enriched and inspired me more than anything has in recent years, and I’m very motivated to connect with more sewing studios - it seems I have finally found my tribe! 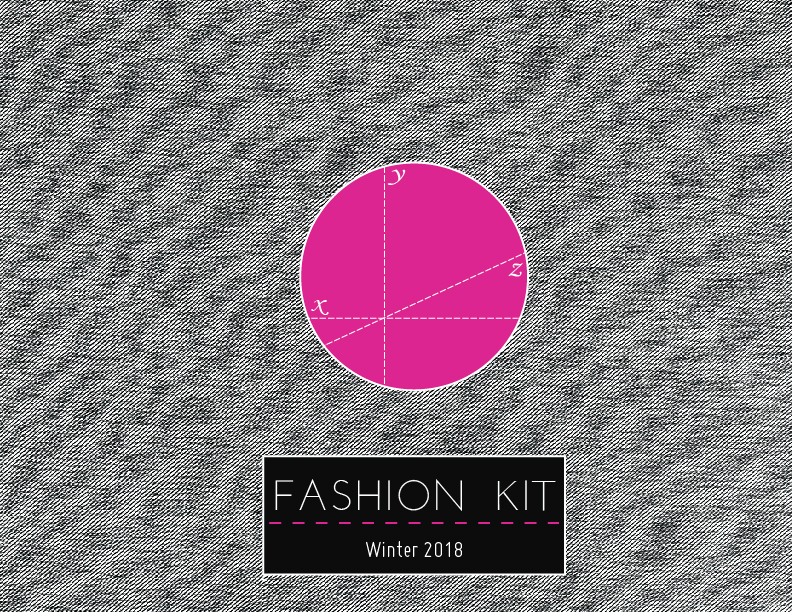 Thanks to my friend Megan Avery this dream became a reality and I hope that FashionKit will grow to be an important part of teaching garment sewing to makers and fashion sewists in studios everywhere. If you are a sewing boss and are interested in connecting with other sewing bosses or learning how FashionKit can work in your studio, please get in touch - I’d love to chat with you! Summertime and the sewin' is easy - grab a FashionKit and head to your machine! 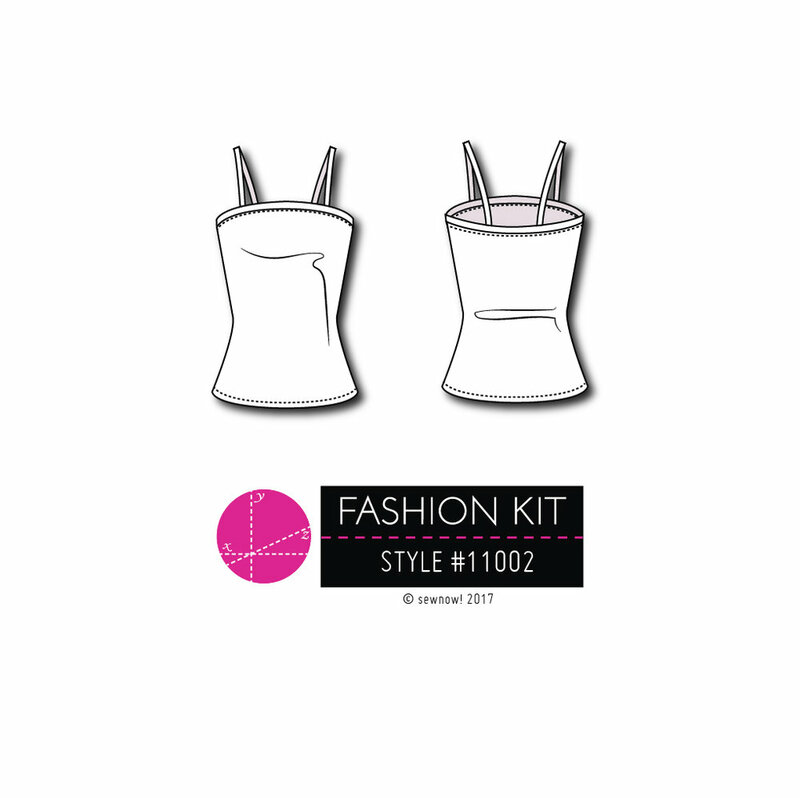 As you brave the heat or the humidity or the fog or the awesome summer storms where ever you are, be sure to set aside some time to make a unique capsule collection from your Summer 17 FashionKit! For Summer17, we offer you five ‘take-it-easy’ pieces perfect for the beach, the patio, or Sunday brunch with friends. Nothing is as effortless as a sundress, and the FK Poppy dress offers a myriad of design options. Woven linens and cottons in just about any print will give a great result. We highly recommend using a ruffler foot attachment for this style - it’s fun to use and makes the ruffling process easygoing. One of summer’s essentials, the FK Sunhat has been designed with a very wide brim, especially at the back for extra sun coverage. It’s best to interface the woven self fabric to give a little body to this project. Grosgrain ribbon gives a professional finish to the hat band. Craving an interesting take on the classic Tee? The FK Breezy Tee is gorgeous when styled in a drapey knit. With a looser fit, optional roll up sleeves, and a unique shoulder seam placement, you will really set yourself apart. If your Breezy Tee is a bit sheer, consider making a Venus Top to wear underneath. This piece can be made as a true lingerie piece using powermesh and stretch lace. Alternatively, consider tech or swimsuit fabrics which give plenty of versatility. The fifth piece in the collection is the skort - perfect for the sporting life and super comfortable. Another stretch piece in the collection, it doesn’t require too much yardage or too much time to make. 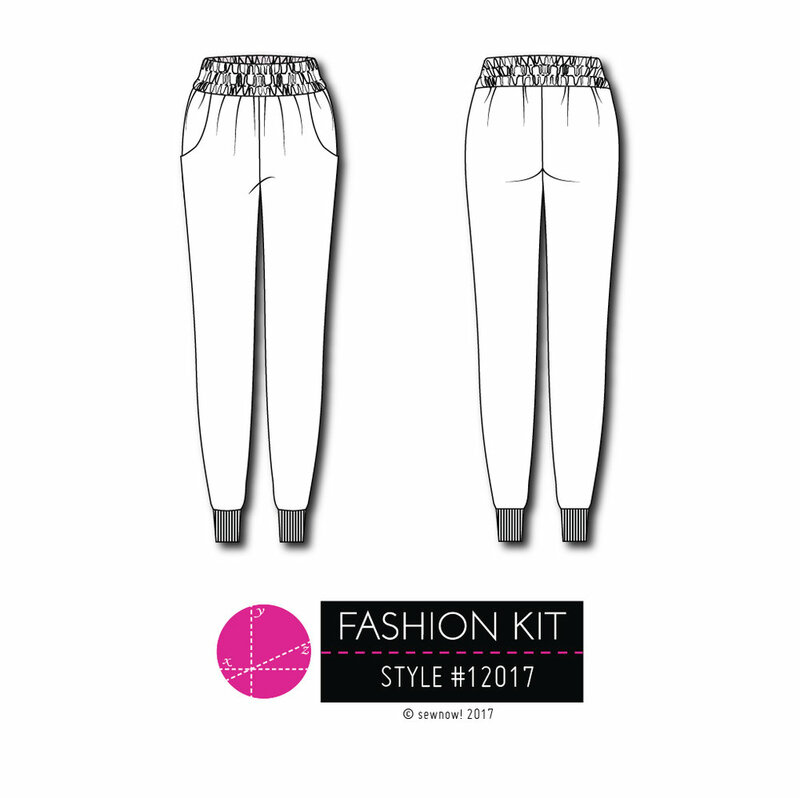 With this Summer17 FashionKit release, we wish you the joy of creating and encourage you to carve out the me-time to make some special items for yourself before summer gets away. 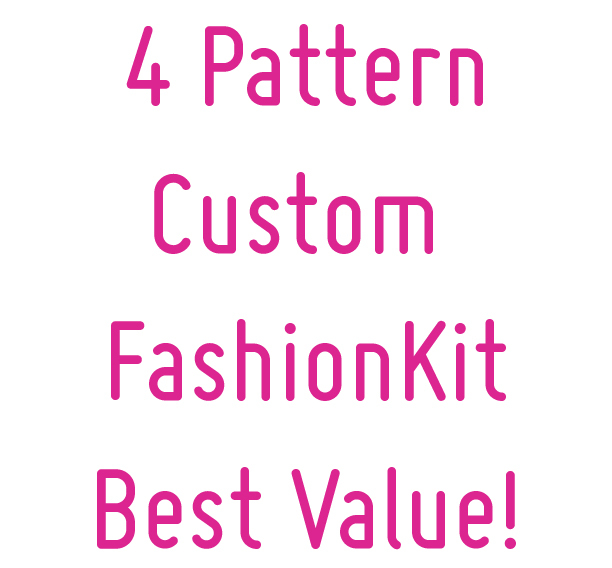 Kits are shipping now and we can't wait to see what you make with your next FashionKit! Walking into a fabric store with a new project in mind can be exciting yet daunting. Cut your anxiety by turning to page 7 of your design guide with swatches you can touch and feel. 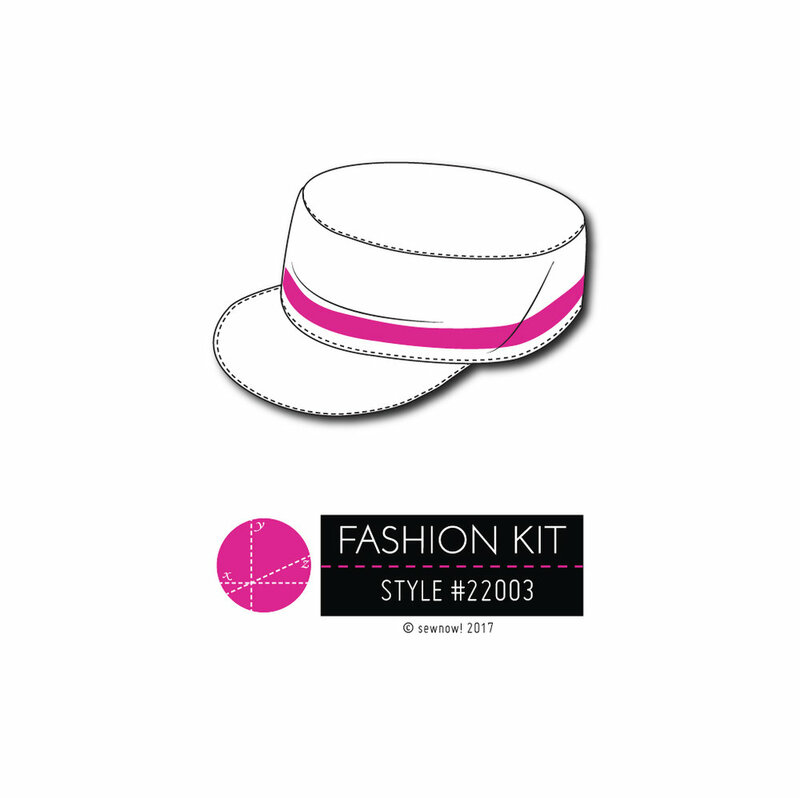 Under each swatch you'll find the name of the fabric along with the FashionKit styles it is suited for. And don't worry if you can't find the exact fabric. Use this as a starting point and purchase the best match. Below we break down the details of the fabrics featured in our Spring '17 Kit. You'll find the same helpful swatch page in all of our kits. (a) Printed Twill & (h) Treated Denim - This medium-weight fabric will give more of an over-shirt feel. It will turn your shirt into a lightweight jacket. (b) Stretch Linen - Most linen and shirting fabrics are a great choice for this style. They have a nice drape and are straight forward to sew. (g) Printed Cotton - Head to the quilting fabrics aisle and pick a fun novelty print because why not! Just be aware of the fabric width as they tend to run narrow. (l) Hounds-tooth Suiting - Light-weight fabrics similar to this one (including georgette, voile, crepe and eyelet) will transform this shirt into a blouse. It gives this androgynous style a more feminine feel. (b) Stretch Linen - The weight and feel of this fabric is great to use as a comparison. Your pants will feel so nice to wear and you can find flannels and other cottons of a similar drape. (g) Printed Cotton - Bold printed pants are on trend, so look for fabrics that aren't too heavy and have a cool graphic print. (i) Penne Velvet - This style is a bit forgiving in terms of choosing between a woven and a knit. If you fall in love with a knit and it has a nice drape and great integrity, go for it! They will take your pants to the next level of comfort. Consider making a smaller size if the knit stretches quite a bit. (l) Hounds-tooth Suiting - A light-weight suiting fabric is ideal for a spring weight pant. Protect from the sun without having to wear a heavy denim. (f) 2x2 Rib Knit - It is important to chose a rib knit that has a similar weight to your fabric. Test the rib knit to make sure it's stretch retention performs well. (d) Ponte di Roma - Ponte and most double knit fabrics will have great integrity and will really show the shape of the funnel neckline. (e) Lycra Spandex Knit - This weight and feel of fabric is great for this sweater. Look for knits that have a similar thickness. French Terry, sweater knits and interlock are great options to look for with a similar weight as this swatch. (c) Baby Rib - A delicate light-weight knit is such a lovely choice for this style. (d) Ponte di Roma - Using a medium-weight knit to make your cami less of a lingerie piece. Lycra Spandex Knit - This is a great option if you want a more sporty approach. Panne Velvet - Finding a unique fabric like a stretch velvet or lace can elevate your cami to a feature piece of your outfit. Choose an opaque fabric for the front and put lace or a sheer on the back. (a) Printed Twill - This style is a great opportunity for those afraid to use prints. Make your backpack a statement item and use a bold print for the self. (k) Fused Basketweave - A heavy-weight fabric similar to this one is great to create a durable mini backpack. Denim, canvas, faux suede and leathers with a similar weight are also great options. (g) Printed Cotton - For the lining, you want something light-weight that will easily take the shape of your self fabric. Go for a fun print or color that greets you each time you open the flap. Meet our Kooky FKAmbassador Julia, who is living the NYC life, studying Fashion Design and selling avocado patches. "Hello hello! I'm Julia Husch, designer, creator, and free spirit. I have been sewing and creating my entire life. I attend the Fashion Institute of Technology (FIT) in New York City and design underwear for my line, Husch Intimates. 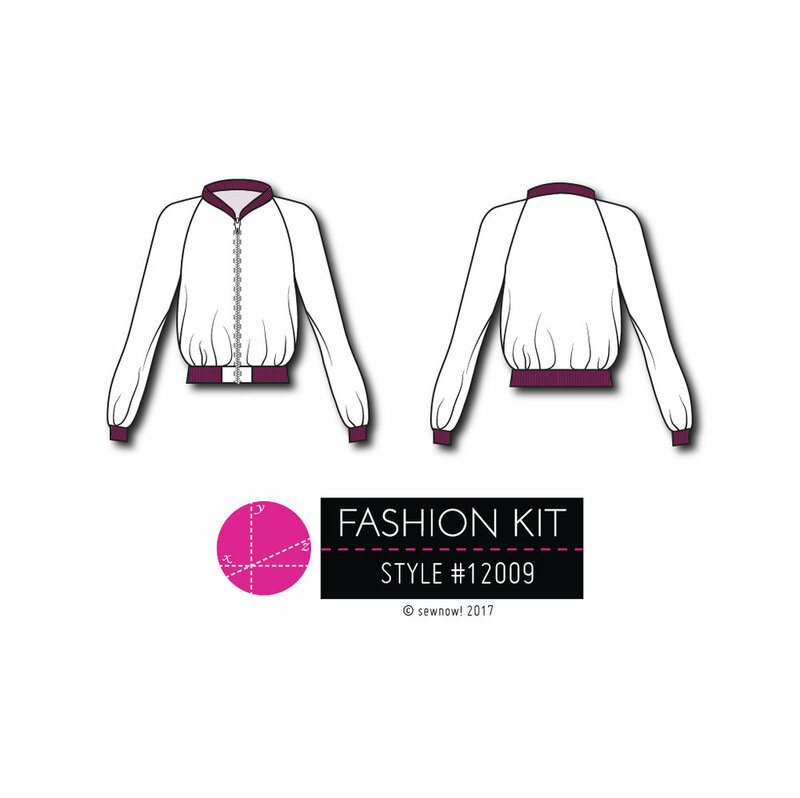 I love designing with FashionKit, it allows me to experiment with fashion detailing and textile manipulation. My favorite FashionKit is the Fall 2015 Newport Jacket. I created my own textile using scraps of cotton prints. I love how bright, colorful, and unique this statement piece is. You can definitely spot me in a crowd!" Bomber jackets are becoming a timeless piece that everyone should have in their wardrobe. The FashionKit Newport Jacket is no exception. Released more than a year ago, it is still definitely a fan favorite style! The raglan sleeve, tapered ribbed collar and blouse fit make it ideal for several body types and styles. Current trends are still embracing the 70's and there's no sign of that trend fading anytime soon. Now into 2017, we are still seeing the bomber jacket style worn across the globe. I wanted to fully embrace this trend with my FK Newport jacket from the Fall 2015 kit. For this jacket I summoned Stevie Nicks - the white witch herself, and added leather fringe to my sleeves and a crescent moon embroidery on the back for extra whimsy. You can see, I'm ready to rock. I always advocate letting your own personal style into each piece you create because the results can be amazing. I’m already planning three more Newport Jackets I want to add to my wardrobe. It’s truly a wardrobe classic style that will live forever. Meet our FK Ambassador with a little English Flair. "Hi, I'm Rachel, and I have been hooked on sewing for the past 17 years. My aunt taught me to use a machine when I was 10 and immediately was attracted to creating unique pieces. From my first love, quilting, I moved on to clothing construction and costume design. I worked in my college costume shop for 4 years and still occasionally design shows. My favorite FashionKit creation so far is the Hooded Cardigan pattern that I transformed into my “Bridezilla” hoodie! When I'm not sewing I teach Shakespeare and ballet. I’m also transcontinental, spending time between Northern California and England! You may also find me researching and talking about the history of public toilets with all who care to listen." 7. Best subject in school: Math, any math! 13. If you could sew absolutely anything, what would it be? A hundred teddy bears - they are fun and I'd keep them all. 14. Best place to wear your Moto Jacket: To school and wherever else I go. 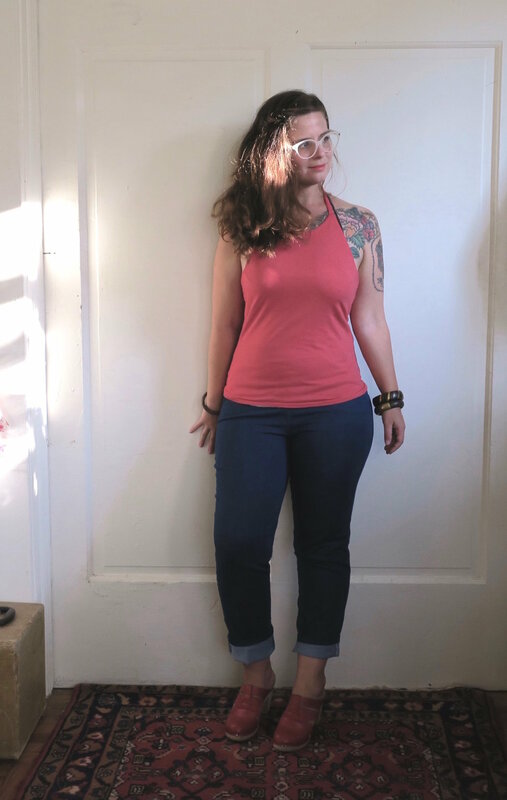 Meet Sam our FKAmbassador from Ashland, Oregon who incorporates natural fabric dyeing into her designs. 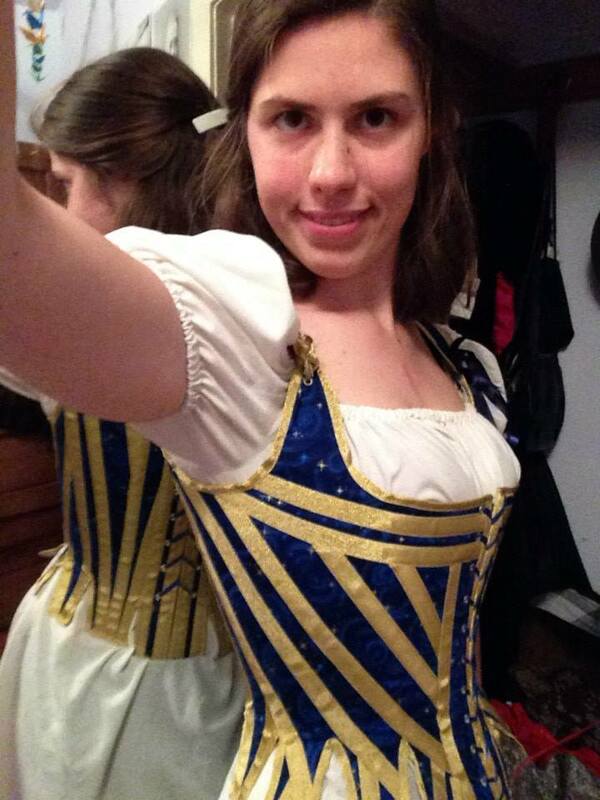 "Hi to all you sewists out there! My name is Samantha McDermott-Goldie, but I go by Sam. I always have to be making something whether it be sewing, dyeing, jewelry making or drawing as sitting still never sufficed. That is how I ended up going to California College of the Arts (CCA) for Fashion Design. There is where I was able to start my career in fashion design and development. Unfortunately life gets busy and I forget to make things for myself. FashionKit gives me that nice reminder in the mail for some must needed personal sewing time. I really enjoyed making the Summer 2016 Festival Dress. It is so flattering and was very relaxing to make. I am looking forward to dying some textiles for my next FashionKit piece for a one-of-a-kind look!"